There are more than 400 companies that rely on this app. UShift is a Singapore-based company which provides a platform that matches hourly-waged workers with employers in a fast and convenient way. 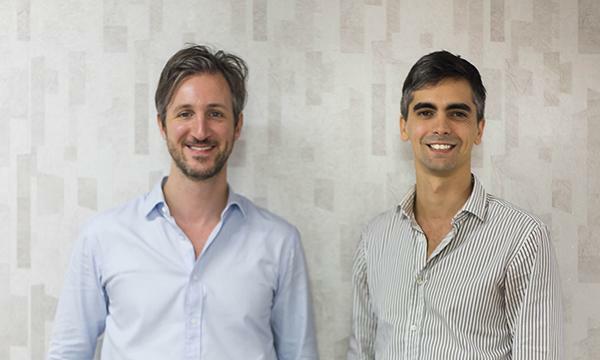 Founded in 2017 by Robinson Blanckaert and Philippe Benedetti and backed by the Asia Pacific Internet Group (APACIG), this mobile app aims to replace old interview processes, and speed up employment especially in industries that require flexible work. According to Blanckaert, there are over 350 million temporary workers in Southeast Asia, and over 60 percent of businesses in fields such as food and beverage, retail and hospitality use flexible work. UShift utilizes geo localisation technology which allows users to conveniently search for jobs in their preferred location. It also provides an inbox private messaging service for both employers and jobseekers. This further enhances the convenience experiences of both the jobseekers and employers. With a touch of a button, one applies for the job and UShift automates the hiring process by matching businesses with highly qualified and reliable candidates. "Unlike most online job platforms, UShift matches jobs according to jobseekers’ interests and qualifications using machine learning algorithms that consolidates the data of worker's previous job experiences and performances," says Blanckaert. "Still, there is no specific online solution helping businesses to find and manage temporary workers," he says. However, today, he notes that more than 400 companies rely on UShift in Singapore and that over 10,000 workers so far have been approved on UShift. Over 80 percent of jobs are filled in less than 24 hours, he adds, and UShift handles all the administrative tasks. It then takes a cut between 10 percent and 20 percent of the salary from the business. UShift released their app in June 2017, and they say it has a promising future, with its user-base doubling within the first two weeks of its launch. Aside from jobseekers, brands that use UShift include Dior, SPH, Pandora, Puma, Mexout, and FoodPanda. Other companies that UShift has helped so far include Eminence Events, an events company part of the ENCE Marketing Group, and Marché Mövenpick, which offers distinctive European cuisine. Blanckaert says that UShift has helped these clients because of their own proprietary matching algorithm that helps them to instantaneously match suitable candidates to jobs based on their job interests. "With this algorithm, we were able to fulfill manpower needs on the go, manage last minute replacements and make sure the candidates were relevant for the tasks," says Blanckaert. UShift is aiming for geographic expansion in the Southeast Asia region by the time the year ends. Also coming are big updates, with the launch very soon of a chatbot for registration and customer service as well as revamped analytical reports for companies, says Blanckaert.